These are the four paths of Yoga. They have been divided by the ancient sages merely as a tool for bringing clarity to the process. None of these paths can be taken alone as they are actually four aspects of the same thing. There are times in our lives when it may seem that one aspect is more emphasized than the others, such as Jnana Yoga when we are in school, or Raja Yoga when we do our asana practice; but all four are always playing a role. 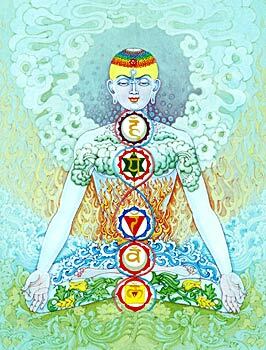 Jnana Yoga is Union through Knowledge. All that we experience in our lives carries with it a piece of the great puzzle. We learn from our parents, we go to school and learn from our teachers. We learn from our friends and our foes. Everything that surrounds us tells us something. We learn from our mistakes as well as our successes. All this learning is leading somewhere. It informs our action, our devotion and our discipline. Without knowledge, we cannot understand our true nature. 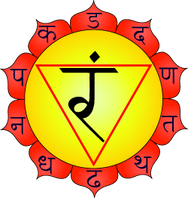 Karma Yoga is Union through Service. When we see and understand that everyone and everything is connected, then what follows is the recognition that serving others is serving our true self. That service starts at home, and when we are truly nourished and healthy it can't help but spill over into the lives of those around us. Our family, our friends, our co-workers, everyone we come into contact with is an opportunity to share the bliss that we have found and cultivated within ourselves. Raja Yoga is Union through Discipline. We are given a body and a mind as vehicles to understand our true self. We can, and do experience union incidentally at times. Whether through romantic relation, psychedelic exploration or artistic endeavor. Whatever the cause, it is generally a fleeting glimpse without discipline. When we do the things that make our body and mind healthy and teach them to work together as one; We can develop a lasting sense of Union and then share that with all those around us. Bhakti Yoga is Union through Devotion. Understanding our Unity and experiencing the inherent perfection of Oneness through service and discipline leads naturally to ecstasy, celebration and devotion. When we sing, dance, make love, create art, laugh or cry; when we do these things selflessly for the love of existence itself - We become vessels for the experience of Union. People will often identify with one path over the others, for instance; a musician may see herself as a devotional (Bhakti) Yogi while she plays the music that she knows from learning (Jnana Yoga) and has mastered through discipline (Raja Yoga). The music she plays is by nature serving those around her, or perhaps only soothing her own soul, but serving (Karma Yoga) nonetheless.